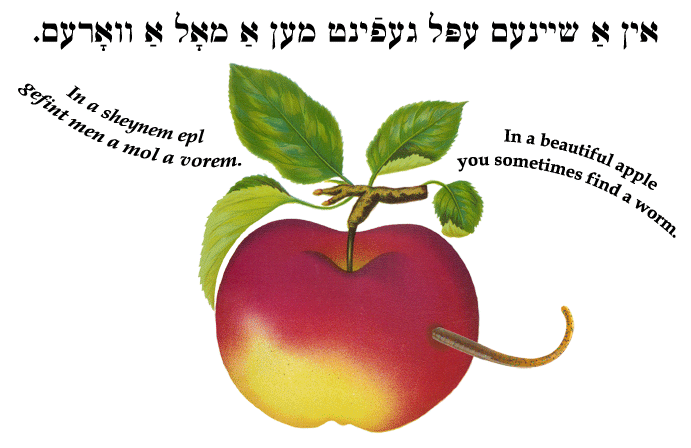 Yiddish Wit: In a beautiful apple you sometimes find a worm. אין אַ שיינעם עפּל געפֿינט מען אַ מאָל אַ וואָרעם. In a sheynem epl gefint men a mol a vorem. In a beautiful apple you sometimes find a worm.